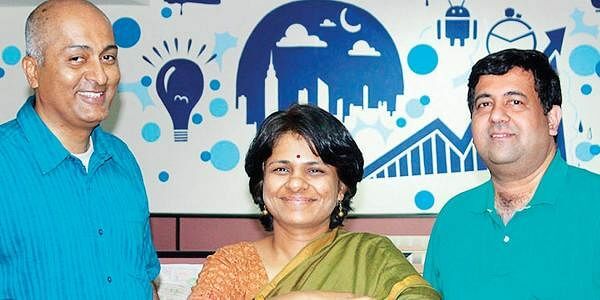 CHENNAI: CreditMantri was created by three ex-bankers- Ranjit Punja, R Sudarshan and Gowri Mukherjee, in 2012 in Chennai, with the intent to change the way credit is delivered in India by leveraging the power of technology and the digital medium. It aimed to help consumers take charge of their credit health and make better borrowing decisions, empower them to know their credit potential and benefit from it. On the site, customers can access their credit scores, learn how they can improve their credit health, resolve past issues, reduce current borrowing costs and in the process discover products best matches to their credit profile. It also provides the borrowers better control over their credit health by educating and hand-holding them to create or improve their credit scores and eventually discover relevant lender products. It was created to bridge the gap between consumers and lenders and enable them to better understand each other by resulting in efficient credit decision making. The company has served over 18 lakh users till date. All data is captured or shared only after obtaining explicit consumer consent. It provides financial institutions access better quality consumer risk profiles besides helping these institutions cut down on expensive credit operations processes and disburse loans faster. Consumer demand data on the platform is used to create custom credit products to address unmet credit needs eg. providing unsecured personal credit lines for new to credit consumers or debt consolidation loans for credit-challenged consumers. Rich profiling data results in lenders not having to waste resources on applications which do not meet their credit criteria. Our focus is to increase our user and lender base, we have also set our sights on familiarising the concept of a credit score to Indians and the importance of maintaining a good credit history. The current digital shift coupled with the surge in first-time borrowers is a great enabler for efficient credit decision making for lenders and borrowers. Our vision is to become India’s largest and most inclusive credit facilitator. CreditMantri raised $7.6 million in this round of funding. Series B funding was led by Quona Capital along with Newid Capital and existing investors Elevar Equity, IDG Ventures and Accion Venture Lab also participated. They have a clientbase of over 40 lenders. All users can resolve issues pertaining to incorrect data on their bureau credit report. Credit-challenged users can resolve issues online for problem borrowings on old loans. New users can discover products by leveraging non-traditional data and get credit. Credit healthy users can compare products and services with the offers from lenders.